The presence of Japanese immigrants and their descendants in the Milwaukee area has been a function of America’s complex political history with Japan. From the late nineteenth to the early 20th century, a small migration of Japanese settled on the West Coast and Hawaii. Racial restrictions to the naturalization of non-white immigrants made the immigrant generation (Issei) “aliens ineligible for citizenship,” though later generations born in the U.S. (Nisei, Sansei) were native-born citizens. During World War II, West Coast Japanese Americans were incarcerated in concentration camps. One of Milwaukee’s earliest Japanese American residents, Nisei artist Ruth Asawa, was permitted to leave the concentration camp in Rohwer, Arkansas, to study at Milwaukee State Teachers College (now the University of Wisconsin-Milwaukee) from 1943 to 1946. Asawa did not receive her degree because discrimination prevented her from getting a student teaching placement and she left the area. In 1998 the university awarded her an honorary Bachelor’s of Fine Arts degree. 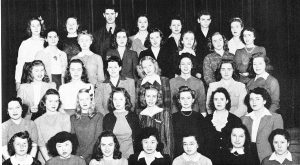 After World War II Japanese women married to American soldiers came to the Milwaukee area. The 1945 War Brides Act allowed American serviceman to bring women they had married in Japan into the United States. Importantly for many Japanese women, they did not count against the quotas set by contemporary American immigration policy, which limited the number of Japanese who could enter the country to 185 per year. In the Milwaukee area alone, by the middle of the 1950s, at least thirty Japanese women lived as the spouse of an American service member. Immigration from Japan occurred at a slow rate for the remainder of the twentieth century but was made easier by the further loosening of immigration restrictions for Asian countries contained within the Immigration Act of 1965 and the development of favorable foreign relations with Japan. Japanese immigrants in the Milwaukee area have been able to turn to voluntary associations for help in assimilation and building social ties since their arrival in the late 1940s. Many of the “war brides” of American servicemen found support in the 1950s within the nascent Milwaukee chapter of the Japanese American Citizens League (JACL). The JACL’s national chapter acts both as a civil rights advocate for the interests of Japanese Americans and as a sponsor of social activities intended to develop community among those of Japanese descent. The original Milwaukee chapter was renamed in 1991 to represent all of Wisconsin. It helps to bring together Japanese American Wisconsinites through participation in a number of cultural and social activities, such as Milwaukee’s Holiday Folk Fair and annual trips to Milwaukee Brewers games. The Milwaukee Japanese Association (MJA), a more recent voluntary association that helps recent Japanese immigrants and those of Japanese descent form social ties, also operates in the metropolitan area. 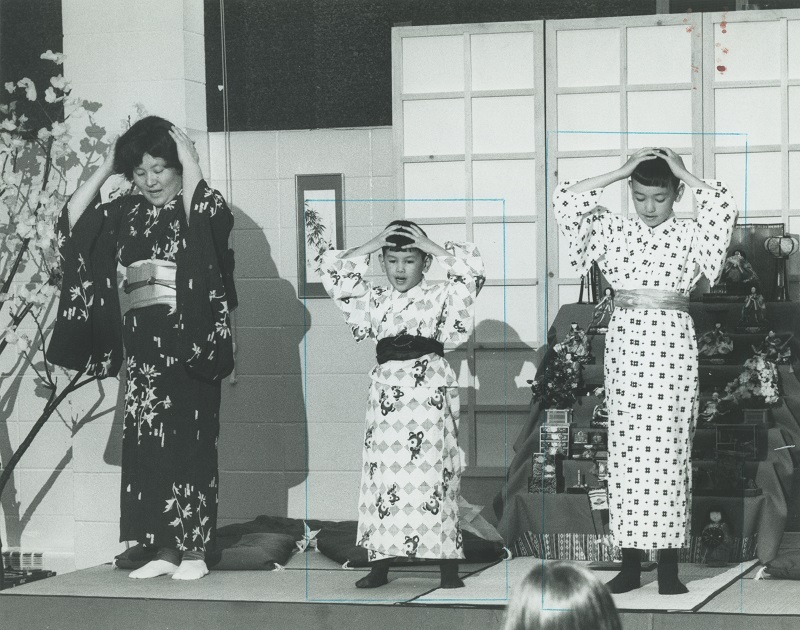 The MJA involves Japanese Americans of all ages in cultural activities, such as dance and musical performances. The MJA, like the JACL, did much to raise money for humanitarian aid after the Fukushima earthquake of March 2011. ^ U.S. Bureau of the Census, Birthplace-Japan, 1850-2010, tabulated at http://www.ipums.org; Japan-Background, United States Department of State website, last accessed April 13, 2012; Tsuno Kazuko, “The Japanese War-Brides in Milwaukee” (Master’s thesis, University of Wisconsin-Milwaukee, 1958), passim; Roger Daniels, Asian America: Chinese and Japanese in the United States since 1850 (Seattle, WA: University of Washington Press, 1988), 283-284. ^ Daniels, Asian America, 306, 321; Kazuko, “The Japanese War-Brides in Milwaukee,” 5, 7; U.S. Bureau of the Census, Birthplace-Japan, 1850-2010, tabulated at http://www.ipums.org; Japan-Background, United States Department of State, last accessed April 13, 2012. ^ Kazuko, “The Japanese War-Brides in Milwaukee” 5, 48-51; Japanese-American Citizens League, About the Japanese American Citizens League, http://jacl.org/about/about.htm, last accessed April 13, 2012; Wisconsin Chapter-Japanese-American Citizens League, Home Page, last accessed April 13, 2012. ^ Milwaukee Japanese Association, Events and Home pages, last accessed April 13, 2012; Steve Chamraz, “Local Japanese Community Rallies Together,” 620 WTMJ, http://www.620wtmj.com/news/local/118067884.html, last accessed April 13, 2012. Kazuko, Tsuno. “The Japanese War-Brides in Milwaukee.” Master’s thesis, University of Wisconsin-Milwaukee, 1958.